Berlin, Mon Amour is a tribute to 1920s and 30s Germany. It contains 16 songs of the Weimar Berlin Period, Degenerate Music, as well as chansons of Marlene Dietrich's movie era. 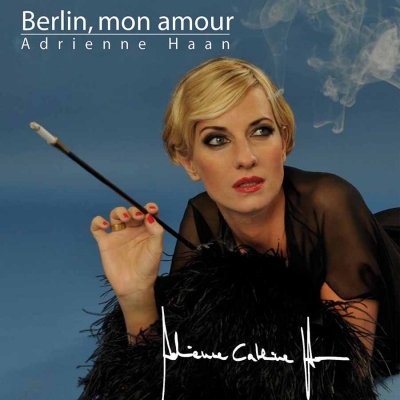 Newly arranged for Big Band and String Quartet by Heinz Walter Florin, Berlin, Mon Amour is an entertaining, sophisticated, funny and by Adrienne Haan very well interpreted masterpiece published at Das Beste Publishing Company. 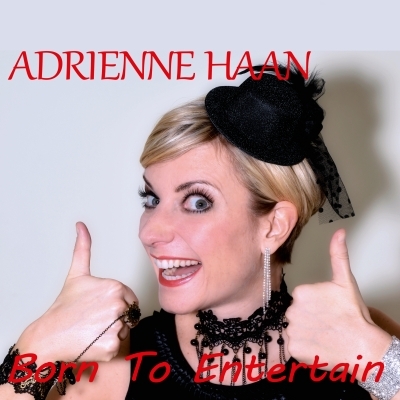 Also the stage show is a fiery explosion of Big Band Swing and an enigmatic Adrienne Haan. Adrienne is proud to present her first published CD I Could Have Danced All Night. I contains 18 musical pieces from the 50ies to the 90ies which are sung in German. The Reader's Digest Publishing Company released the CD within Europe. The recording is Adrienne's first solo project. She carefully chose 12 songs from famous musicals which show off her voice at its best As a special goody, Adrienne introduces her own song called A Dream That Was Texas.